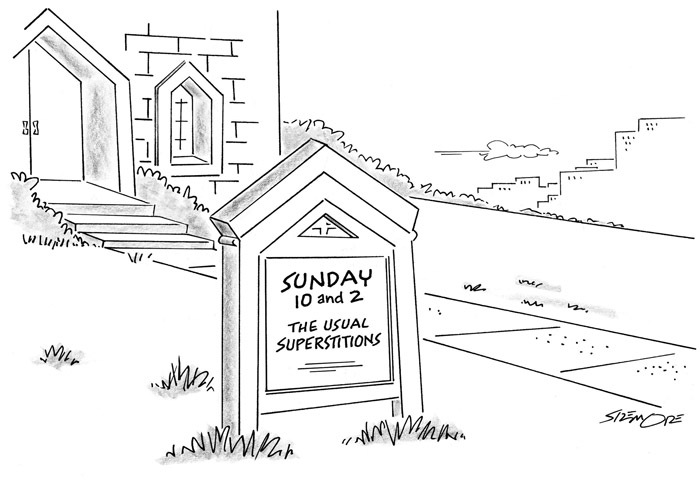 This entry was posted on Monday, September 10th, 2012 at 7:20 am and is filed under gag cartoons, gags, religion, signs. You can follow any responses to this entry through the RSS 2.0 feed. You can leave a response, or trackback from your own site. I love it (Bill Maher would surely love it too). — Ok, you haven’t turned water into wine, but you’ve made the water taste so much better. Well, what the hell — thank you, Jacquie. I’ll see you there with all our friends! And I’m hoping for a chat with my hero, Christopher Hitchens . . .